Running, jumping and throwing. All three of these things describe track and field, but one competition requires different masteries than the usual events: shot put. The combination of brute strength and form allows each competitor to heave a 10 pound ball as far as possible in order to gain more points over the opposing team. Many athletes on the team have dazzling statistics, but few stick out, such as senior Zach Myers, a four-year varsity track competitor. Myers’s longest throw in shot put, according the athletic.net, is 36’9 feet. On a track team, each person has a specialized skill that needs to be honed to their best ability. Except for the throwers, coaches help push the confidence and ability of the throwers. However, not all coaches are adults. Sometimes, the best coaches are the players themselves. Two competitors have shown their leadership on the team who have given their knowledge to first year players who have never had anything to do with track and field. 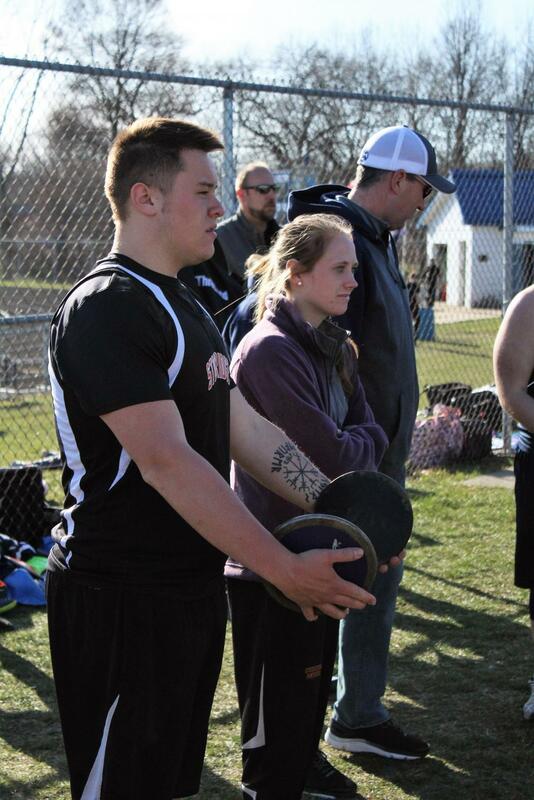 Four-year returning senior thrower Jillian Cadieux works with Myers in coaching the throwing teams. Cadieux finds enjoyment in teaching the underclassmen the skills of shot put. 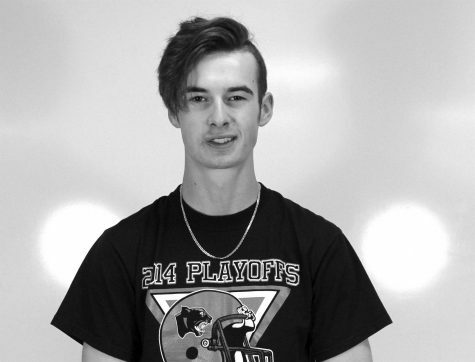 “In some aspects, I am confident in myself being a coach because I am able to help the other kids who don’t have their technique down,” Cadieux said. For the boys, Myers keeps himself and the throwers conditioned and in shape by running with the sprinters, and afterwards, the team does their own exercises for throwing and training that vary day-to-day. Besides the student coaches, running coach Chuck Bumpus has taught these student athletes the skill of independence by showing them that they can teach themselves without the crutch of a throwing coach.